Sorry, we're closed. Today's hours are 8:00am - 6:00pm. Please visit our Contact form to leave us a message and we will get back to you shortly. Join our Facebook page for the latest news, health advice, and deals on our health products. Dr. Scott Fellows grew up in Preston, Idaho on a small dairy farm. He attended Idaho State University and then University of Western States in Portland, Oregon where he received his license to practice chiropractic care. Dr. Fellows has taken over for Dr. Cox where he hopes to continue to provide excellent treatment for the community of Preston. He has a firm belief in a noninvasive, holistic approach to healthcare based on diet, exercise and a positive attitude. 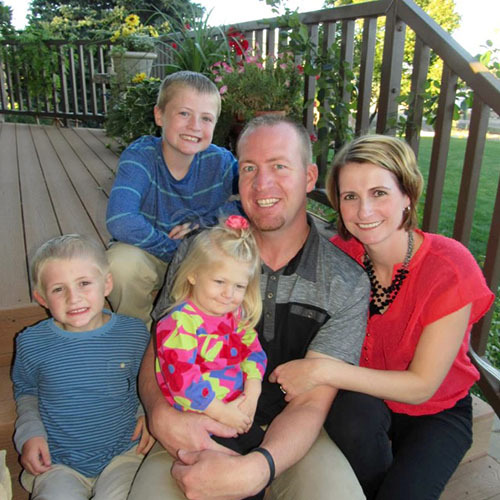 Dr. Fellows and his family enjoy playing sports, skiing, and spending time in the beautiful outdoors of Cache Valley.